LGGS Chronicle Now on Sale ... 101st edition ... 60 pages! On Thursday 13th December, an unusual buzz filled the corridors of LGGS. For weeks, mysterious posters had been plastered to the walls; Theresa May and Jeremy Corbyn put aside their political differences to jointly remind us to “remember your £4!”, whilst Mr Bean told anyone who was observant enough to notice that “The Chronicle arrives in 3 days!”. Then, suddenly, the release day itself was upon us. 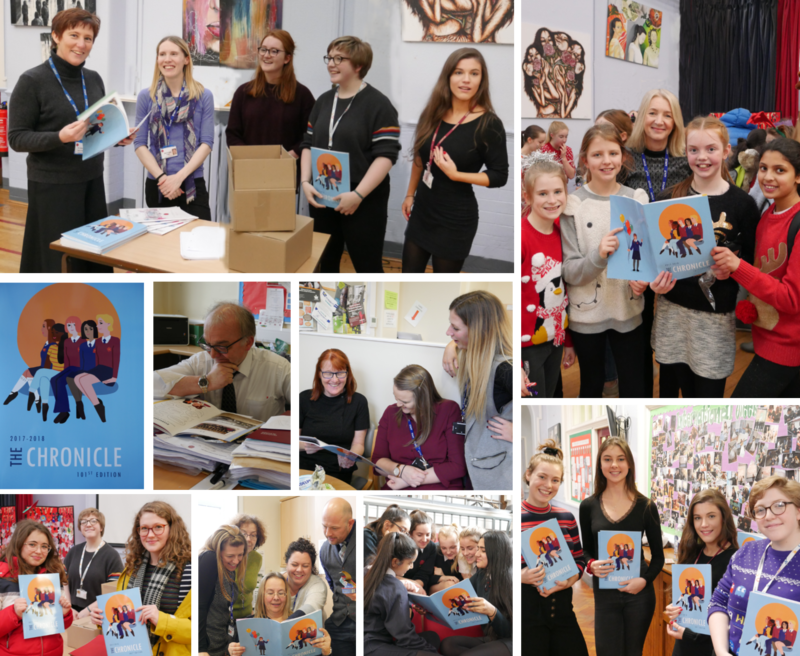 As lunchtime began, students and teachers alike flocked to the main hall, possibly to get their hands on the free cake we had promised, but also to pick up their very own copy of the 101st edition of the school magazine! The rest of the day would see groups of students huddled conspicuously around its colourful pages, heads bent together, gasping in delight (or horror) at seeing their faces and quotes emblazoned across a double page spread. The Chronicle season had well and truly begun! Get your copy from Mrs Yates at school.